Dr. Esteban Ramirez talks in detail about Orthognathic surgery in this video. He explains in detail the problem of over bite, the issue of prognathisms or retrognathisms that is the position of the jaw. He also talks about the Obwegeser Technique. "Orthognathic surgery is the part of the oral and maxillofacial area to correct the problems, over bite like problem of prognathisms or retrognathisms that means if the jaw is in a very very forward position or in a very bad position or if the patient has too much or no chin or if the patient smiles and shows a lot of gum during the smile, we can move the position of the maxillary, the upper, the lower, the chin to put it in the correct position. "The origin of the back position of the bones, you know sometimes can be genetic but most of them is growing problems and most of the cases we prefer to send the patient first to the orthodontics to move the teeth to the correct position and then make the surgery. "But there is some cases that we can make the surgery first and then send the patient to the orthodontics to move the teeth to a good position and then everything is going to be correct, final. Ok to explain more about the surgery, this kind of surgery is under general anesthesia and we take the patients to a very nice surgical room I mean everything is in the… is perfectly in there and to move the, the lower jaw we cut the, the ramus of the jaw. "We cut, we make some technique, technique, Obwegeser Technique, that’s the name of that technique and then we can move forward or back the lower jaw to fix the the the.. to make a good fixation we use titanium screws to put the jaw in the new position. Those titanium screws can be there forever. "Patient wants to send only the x-rays, ok the x-rays is anterior or posterior x-rays, lateral x-rays, panoramic x-rays and its very important to send the models. The models means, go to a dentist in your area, is very easy technique, pressure from the mouth, he or she can put it in stone models and you can send it over here so we can study your case including the x-rays and the models and then we can give you an idea what kind of surgery the patient needs. "The time the patient comes to us, same day, early in the morning, we take the blood test, just to be sure that everything is fine. Of course first of all we make some research by e-mail with the patient to know more about the medical status but we send the patient to the laboratory and next day we can make the surgery early in the morning and the patient is going to spend the night in the hospital just to be really you know we have to check in the afternoon and next day he or she can leave the hospital. "So the patient for orthognathic surgery has to spend maybe 4 days in Tijuana and they can return to their places." Watch this video on Orthognathic Surgery Follow-up in Tijuana for more details and clarification on the subject. Fill the quote-form on the right for more information. In this video watch a leading oral and maxillofacial surgeon in Tijuana discuss dental implant process and the time needed for osseo-integration and rehabilitation of the implant. "If we want to talk about traditional dentistry, traditional implant dentistry right. We place the implant and we leave it into the bone for I mean, like uh.. rest time for 3 or 4 months until the bone becomes really osseo-integrated into the bone. Then the patient returns and we place the second part of the implant that is the abutment in the porcelain crown in the same day. "So if we have to use the traditional dental implant dentistry, the patient comes, we place the implant, the implant or the implants and then the patient can return 3 or 4 months later or if the patient wants to return 6 months later, it will be good. Then we can start working on continue that, the rehabilitation of the implant." Watch another video in which the surgeon explains dental bone grafting for implants in Tijuana - Mexico. Fill in the contact form on the right for more information and a FREE estimate. Watch this video in which a leading cosmetic dental surgeon - Dr Marco Antonio Valle Ibarra - talk about his diplomas, degrees and certificates gathered from Mexico and the USA. He has more than 40 years of experience in dental implants and cosmetic dentistry in Tijuana - Mexico. "My name is Antonio Marco Valle Ibarra, I born in United States, I live in Tijuana. My residence professional is in Tijuana, Mexico. I studied in University of Mexico City, The Dental School. I work in general dentistry in more aesthetic dental work. And I have degrees, diplomas for rehabilitation, implants. I have 46 years by dentist (46 years of practice of dentistry). "I finished my school in 1971 and I stay.. full time I stay in Tijuana, city of Tijuana, Mexico. But I have my… Maxillofacial Doctor…the name of the doctor is Dr. Esteban Ramirez, Surgeon Maxillofacial Doctor. For me I have good relation with him, because I work good protocols for putting the implants in the mouth; is that easy; you need talk with your surgeon – doctor because you need see what the material used, what.. what need the patient. Like if he need the bone graft, if he need the membranes, with a titanium membrane or a membrane with a collagen. And all this is what I talk with the doctor to see what I need for my patients. Ok why I have high percent for the patients for United States, is maybe is my time. I have my first patient in.. when I come from Mexico in.. when I finished the school and put my office in Tijuana in 1973. And he start my.. my practice with a.. for lot of patients from United States. I have patients for all, United States and Canada. I have patients from Hawaii, New York, from Texas, from Oregon, from Washington State, for an oral… in Canada. Because.. why why I have a patient from a long distance because I don’t know it’s the systems you know, the system for United States is different for the system what work in Mexico. "The price is principal, the price; but the main thing that Mexico is very good. The neighborhood in Mexico is United States; in all over they have in Mexico they come from United States. It's Nobel Biocare, Nobel Biocare is in California. I like this how’s with the implants, because they have a lot of studying with the bone, with membranes, with implants is complete and have, this is the company with start with Zirconia, their name is Procera. Procera for me is the best Zirconia I have in the world. The border today is new, they changed the border, it’s a nice cross walk, the taxis (they) have on the border, you can take a taxi and you have the address of the office and drive to here to the office, no problem." At TJ Dental Center, Dr. Valle works with a leading dental implant surgeon in Tijuana, Mexico. 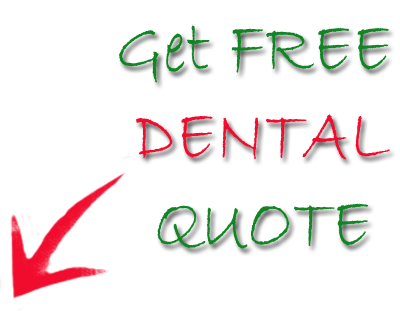 To gather more information and a FREE Quote, fill in the quote-request form on the right. In this video Dr. Esteban Ramirez, a leading oral and maxillofacial surgeon, talks about the pre-trip requirements to Tijuana, Mexico for All-on-Four implants. "It will be good to know about the medical health of the patient to be sure that he is not under any treatments, heart problems, high blood pressure, diabetes, something like that but it is good to make an interview before the patient comes. And is good to have a CT scan, if the patient cannot have the CT scan in their places, we can have.. we can send the patient here to the CT scan place and make the studies but at least at least we need a panoramic x-ray, at least." Here is another video in which the dental surgeon talks of getting traditional dental implants in Tijuana, Baja California. For information and a FREE Quote, contact us through the website form on the right now!